This ease of getting to the beach with this location will allow you to forget all of your stress. This home is very well equipped, 3100 square ft, 7 bedrooms, 5 bath, private 27x11' large pool which may be heated and ample amount of decks. 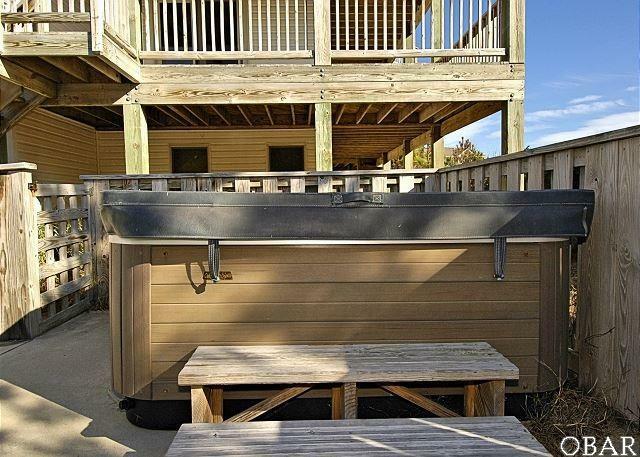 Also includes a hot tub, game room with kitchenette, pool table and reading area. 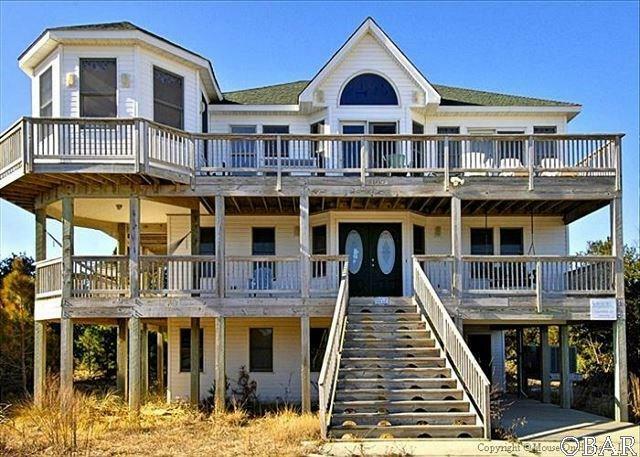 Top 3rd level Master Bedroom (King) with TV, deck access with ocean views and garden tub; great room with flat screen TV, gas fireplace and deck access; kitchen with breakfast bar for 6; dining area for 8 with second table for 6; half bath; captains watch. The Ships Watch is sure to be a delight for those desiring ocean views. Other special features of this fantastic beach house include 4 TV's, 3 VCR's, DVD, and 3 stereo's with CD players! 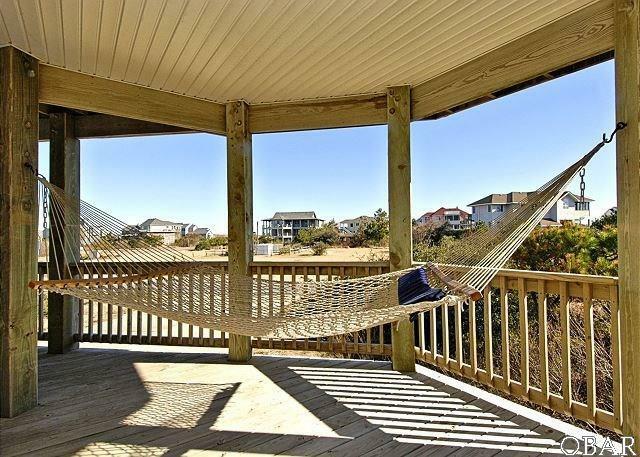 You can even take a nap in the hammock after playing a game of basketball! 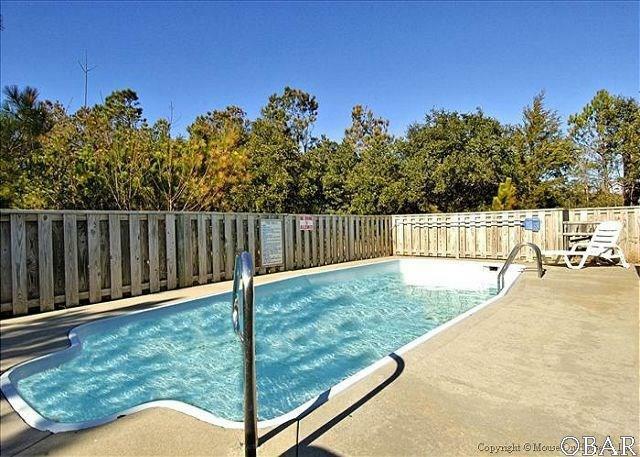 Only 550 feet away from the beach access! Listing courtesy of Stephanie Doshier of Shoreline Obx.